Will Bitcoin Breach $4,000 With New Yearly Low at $4,050: is Bakkt a Factor? On Nov. 20, Bakkt, a cryptocurrency platform operated by ICE, the parent company of the New York Stock Exchange, delayed the launch of its Bitcoin futures market from December 12 to Jan. 24, 2019. Almost immediately after Bakkt announced the delay of its Bitcoin futures market launch, BTC dropped to $4,050, to a new yearly low. Over the past seven days, the price of Bitcoin (BTC) dropped from $6,500 to $4,200, by more than 35 percent. The sheer intensity of the short-term price drop of BTC left the dominant cryptocurrency vulnerable to a further decline below the $4,000 mark. 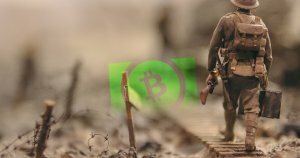 The unforeseen drop in the price of BTC was suspected to have been triggered by the hash power war between Bitcoin Cash and Bitcoin Cash SV. On Nov. 15, SV, a camp led by Craig Steven Wright and Coingeek threatened to reorganize the Bitcoin Cash chain, making transactions invalid and the network unusable. The delay in the launch of Bakkt did not trigger cryptocurrency markets to move. The firm decided to move its launch date due to overwhelming demand from investors in the US market, which can be considered a positive development in the sector. Some reports claimed that the announcement from ICE was priced in and the drop of BTC over the past week was mainly driven by Bakkt. However, the impact of Bakkt on the market has always been a uncertainty and it is premature to claim that a delay of just over a month triggered BTC to drop more than one-third of its price. From August to November, BTC also demonstrated its lowest level of volatility and to move BTC by a large margin, a catalyst that is more significant than a mere delay of a futures market launch was needed. On major fiat-to-cryptocurrency exchanges like Kraken, Coinbase, and Bitstamp, Bitcoin fell to a new yearly low but recovered swiftly to around $4,280. Within minutes, the price of BTC rebounded by around 5 percent, demonstrating a high level of volatility in short timeframes. Where is Bitcoin Headed to? The volume of BTC has doubled from $4 billion to $8 billion throughout the past several days, suggesting that the sell pressure on the asset has intensified. But, the sell candles of BTC have not shown large movements initiated by bears and the cryptocurrency market has shown a slow but painful grind from a market cap of $210 billion. Historically, BTC has tended to decline by more than 85 percent in long-lasting bear markets. An 85 percent drop from the current all-time high at $19,500 is $2,950. Even if BTC drops below the $4,000, which is becoming increasingly likely, it would still be a drop of around 80 percent from its all-time. The post Will Bitcoin Breach $4,000 With New Yearly Low at $4,050: is Bakkt a Factor? appeared first on CryptoSlate.